Today, I am excited to share a review of a great product I have discovered recently – biPro Protein Powder. BiPro has been available in US for over 30 years, and now you can finally purchase it in Canada as well. BiPro is a daughter company of Agropur Dairy Cooperative – an agricultural cooperative with headquarters in Quebec, Canada, and the largest Canadian dairy company. You may be familiar with some of Agropur’s subsidiaries, such as Natrel, Sealtest, and Oka. Canadian freestyle skier and two-time Olympic medallist Jennifer Heil is one of the product ambassadors. You will see her smiling face on biPro website. 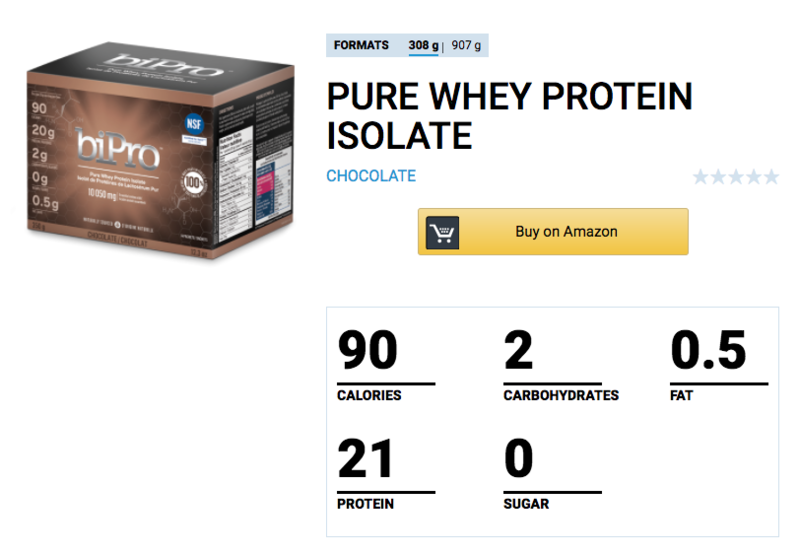 biPro offers high-quality whey protein isolate supplement with no other proteins or fillers added – a huge bonus if you are looking for a no-frills no-unpronounceable-ingredients protein powder. 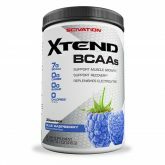 Like other whey protein powders, it naturally contains branched chain amino acids (BCAAs), and is a great source of protein. Another selling point for athletes – all biPro products are NSF certified for sport, which ensures that all the technical and procedural requirements associated with health safety are respected. You’ll see the NSF logo proudly displayed on biPro packaging. If you are after SIMPLE, biPro is pretty freaking awesome. Seriously… check this out. Chocolate: Whey protein isolate (milk), cocoa, natural flavours, sunflower lecithin, stevia extract. Vanilla: Whey protein isolate (milk), natural flavours, sunflower lecithin, stevia extract. Unflavoured: Whey protein isolate (milk), sunflower lecithin. Umm… Hard to beat TWO ingredients, guys. 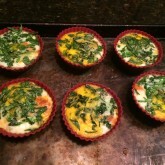 You could opt for ONE ingredient – it’s called egg whites. 😉 Oh, and for those wondering, sunflower lecithin is a plant-derived additive that helps the powder dissolve more easily in food and beverages. And, of course, stevia is a plant-derived sweetener. *Note that the scoop size is different in Canada than US, so the nutritional information on the label is slightly different. I find that the highest quality protein powders do not come in 44 flavours. And… who can seriously stand double chocolate mint for more than a week? Did I tell you that time I bought a huge tub of cinnamon graham cracker flavoured protein powder? WHYYYYY. BiPro comes in chocolate, vanilla, and unflavoured flavours. [If you are in US, you can also score the strawberry flavour]. I have tried all three, and, while I liked them all, chocolate won my heart in terms of taste, while unflavoured blew me away in terms of versatility. *Pro-tip #1 – freeze your coffee, and use coffee cubes instead. And notice this shake does not require a blender! Bonus. *Pro-tip #2 – skip adding water, if you are having this right before your workout – more concentrated flavour, AND less liquid sloshing around in your tummy! As for unflavoured protein powder, you can add it to anything – especially, meals that are USUALLY low in protein (e.g. soup). water – throw a scoop in, squeeze half a lemon – voila. A purist take on a protein shake. mashed potatoes – OMG, enough said. chili – yes. blend well. soup – you guessed it. stir it in, throw some greens in for good measure. peanut butter – i can’t even. *faints. And yes, the possibilities ARE endless. 🙂 More ideas from biPro here. This may seem like a strange thing to enjoy about protein powder, but hear me out. At $59.99 for a 2lb (907g) container, at 32g per servings, you will get about 28 servings out of a container, at $2.14 per serving. While you can definitely find cheaper protein powders, you are paying for the simplicity and quality that I mentioned above. *Disclaimer: Please note that while this is a sponsored blog post, I only agree to review products that I would personally use. Anything you read here is MY opinion based on personally testing the products.